Missing teeth can create difficulties with normal dental function, such as eating and speaking, but can also hinder patients from smiling confidently. If tooth loss is left unaddressed, it can lead to more severe issues, such as dental misalignment, speech impediments, and gum and tissue degeneration. To replace one to three missing teeth in a row, Dr. Abbey J. Lee may recommend a dental bridge to help fill in the gap left behind. At Smiles 4 Grant Park in Atlanta, GA, we also offer partial dentures, full arch dentures, and a variety of implant-supported restorations to restore the function and aesthetics of a smile. Just as the name implies, a dental bridge is designed to help bridge the gap left behind when a patient is missing one to three adjacent missing teeth. It is comprised of at least one full artificial tooth (pontic) with dental crowns attached on either side, cemented securely to your remaining teeth on either side of the gap. A traditional dental bridge is typically made from a single block of porcelain, customized to blend with the natural aesthetics of your smile. When tooth loss is sporadic throughout a patient’s mouth in a variety of different patterns, but not significant enough for a full arch denture, a partial can be customized to fit over remaining teeth to restore a smile. A partial denture is a removable dental prosthetic made of gum-colored acrylic and natural-looking synthetic teeth attached to a metal framework with small metal clasps that fit securely around your teeth. Both dental bridges and partial dentures require surrounding teeth to be strong and healthy in order to provide a stable foundation for your restoration. For patients missing an entire arch of teeth in their upper or lower jaw, we provide traditional full arch dentures made from gum-colored acrylic and synthetic teeth, designed to match the shape, color, and size of your former teeth. 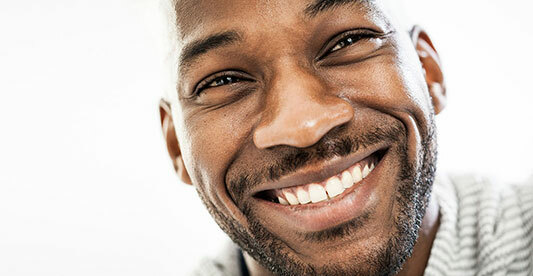 Traditional dentures provide a quick and affordable solution to complete tooth loss. This type of restoration will fit snuggly over your gums and is held in place with suction and a durable adhesive. Although initially the most cost-effective, a traditional denture is not a permanent solution to tooth loss and will need to be upgraded every five to seven years to provide the best results. Using digital denture technology, we can customize your device with better precision. Mini Dental Implants: For patients who do not have adequate jawbone strength for full-sized dental implants, we provide smaller implants that require less recovery and are designed to support most restorations. All-on-4 Dental Implants: This implant system can support a dental bridge and full-arch denture with just four strategically placed dental implants. In some cases, restorations can be placed the same day. Because implant-supported restorations are supported by dental implants surgically inserted into your jawbone, they provide optimum strength and durability. Your restoration will be customized at a state-of-the-art dental lab based on digital impressions taken of your mouth to provide ultimate aesthetic results. For traditional bridges and partials, your device can generlly be placed in just two office visits. For patients that desire an implant-supported restoration, you will first need to undergo dental implant surgery and an extensive healing period before the device can be placed. If you are struggling with poor dental function and low self-confidence as a result of missing teeth, Dr. Lee can restore your smile with a customized dental restoration. Schedule a consultation today to learn more about the benefits to our dental prosthetics by calling 404.328.7177.